THIS YEAR, VAN HEES GMBH (WALLUF, GERMANY) CELEBRATES ITS 70TH ANNIVERSARY. THE COMPANY WHICH DELIVERS ITS PRODUCTS TO MORE THAN 80 COUNTRIES WORDWIDE, IS AMONG THE LEADING SUPPLIERS OF HIGH QUALITY SUPPLEMENTS AND SPICERY, HERBS, MARINADES, EMULSIONS AND FLAVOURS FOR MEAT AND SAUSAGE PROCESSING. IN THE YEAR OF THE COMPANY’S ANNIVERSARY, ONE THING IS ALREADY SURE: VAN HEES IS AND WILL REMAIN A FAMILY BUSINESS. The company was founded by Kurt van Hees at Wiesbaden-Biebrich on March 29, 1947. He already discovered the benefits of food phosphate additives in food production in the mid-1940s. A pioneer in the field, he went on to develop a number of well-known additives that he patented. With the foundation of VAN HEES GmbH, Kurt van Hees created a company whose development is closely connected to the history of sausage production. VAN HEES developed numerous technologies that have become an integral part of meat processing. 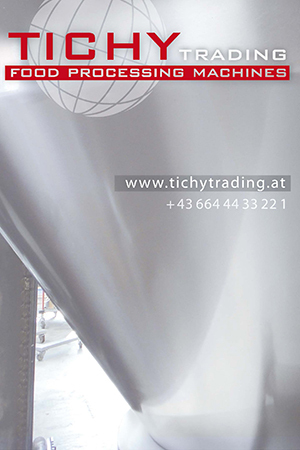 Well known brands like PLASTAL, POEK, SMAK, BOMBAL and SCHINKO guarantee safety and flavour. Another highly successful product is the brine additive ZARTIN, which became one of the leading products of the industry and was recently optimized into the ZARTIN Gourmet CA line. When VAN HEES took over the United Spice Mills in 1952, the company entered a new dimension. 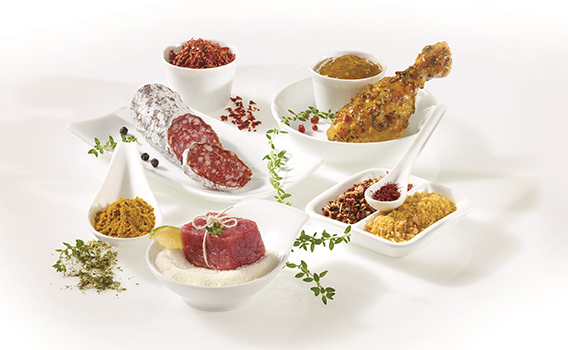 From then on, spices and marinades became the second mainstay of the VAN HEES, The company grinds spices and herbs in their spice mill at Wuppertal – one of the most advanced in Europe. They are the basis for new spice compositions and mixtures as well as new marinades and oils. In 2013, VAN HEES GmbH opened at Wuppertal the first plant in Europe producing spices and additives exclusively according to the strict Halal rules. With over 350 halal certified raw materials and installations producing halal products only, 100 per cent Halal compliance is guaranteed and cross contamination with Haram products is prevented. Until today, the company’s history is marked by the continuous expansion of its range of products and services according to the customers’ wishes. The company invests in research and development of optimized meat processing. There is a modern technology centre for product analysis, recipe optimization and individual developments as well as for schooling clients from all over the world. Here, product ideas can be realized fast – often in direct cooperation with the customer. Also, special advisers come to the customer to help answering questions about of meat products as well as product or range expansion. The „Kurt van Hees Research Foundation“ has been supporting research projects in the meat sector for more than ten years now. Today, more than 400 people work for VAN HEES in the production sites at Walluf, Wuppertal, Forbach (France), Cape Town (South Africa) and Moscow – most of them have been part of the company for many years. Altogether, VAN HEES operates at ten international sites: two in Germany and France each, one in Belgium, the Netherlands, Switzerland, South Africa, the United States and Russia. The biggest production site, headquarter and centre of development still is in Walluf. The company is certified at highest level according to IFS (International Food Standard). VAN HEES buys its raw material partly in the countries of their origin, thus supporting the local producers. The company’s philosophy also includes respect for the environment: for instance, VAN HEES produces all oil-based marinades with rapeseed oil instead of palm oil.